Java Tutorial for Beginners: Java Programming 100% Hands-On | Free eBooks Download - EBOOKEE! Posted on 2018-11-02, by everest555. 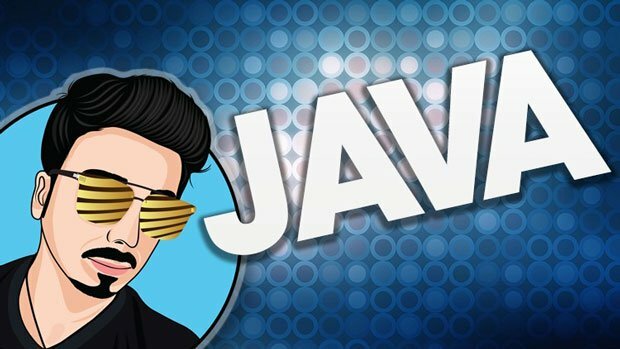 If you want to build applications for mobile devices, desktop computers, or the web, you need to know Java. This course provides the foundation for learning Java, so you can build your first apps and get a startup to nurture your skills on programming by eliminating code fear and conquer the programming domain with flying colors. It's just you, your computer with an internet connection and the enthusiasm within you to learn and enjoy ! If you want to build applications for mobile devices, desktop computers, or the web, you need to know Java. This course provides the foundation for learning Java Programming, so you can build your first apps or start exploring the language on your own. Your Trainer Gurjit Singh shows how to install Java and the Eclipse IDE, and start working with variables, data types, keywords, and other critical language components. He also helps you control program flow with conditional logic and loops, store data with the Java Collections Framework, and understand how Java implements object-oriented coding principles such as inheritance, encapsulation and polymorphism in this Java tutorial for beginners. Why learn Java, and not just any other Computer Programming Language ? Java is the most popular programming language in in the world (TIOBE index) since it's the only language that works across all computer platforms (and android mobile). Java was and is popular as "Write Once, Run Anywhere" and it literally means once a Java application has been written it can run across any platform Windows, Linux, Sun Solaris, Mac or even Mobile platforms like Android for instance. I offer full support, answering any questions you have 7 days a week. I have all of the solution source code available in the zip file. Compare your code against the solution code. If you are not able to resolve the problem, post a message to the discussion forum. Be sure to paste your Java source code along with any relevant config files / screenshots. So, what are you waiting for, Enroll for this Java Tutorial for Beginners course and get a career to cherish , Good Luck ! This Java course is intended for beginners or audience with no prior coding/programming experience. if your migrating from a different programming language to Java, you will find this course helpful. No comments for "Java Tutorial for Beginners: Java Programming 100% Hands-On".